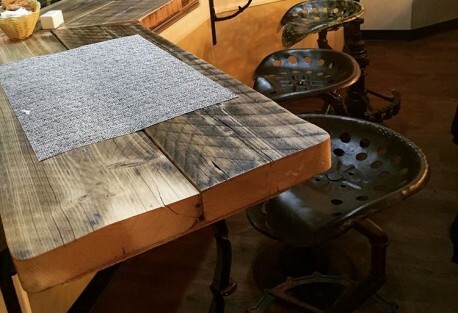 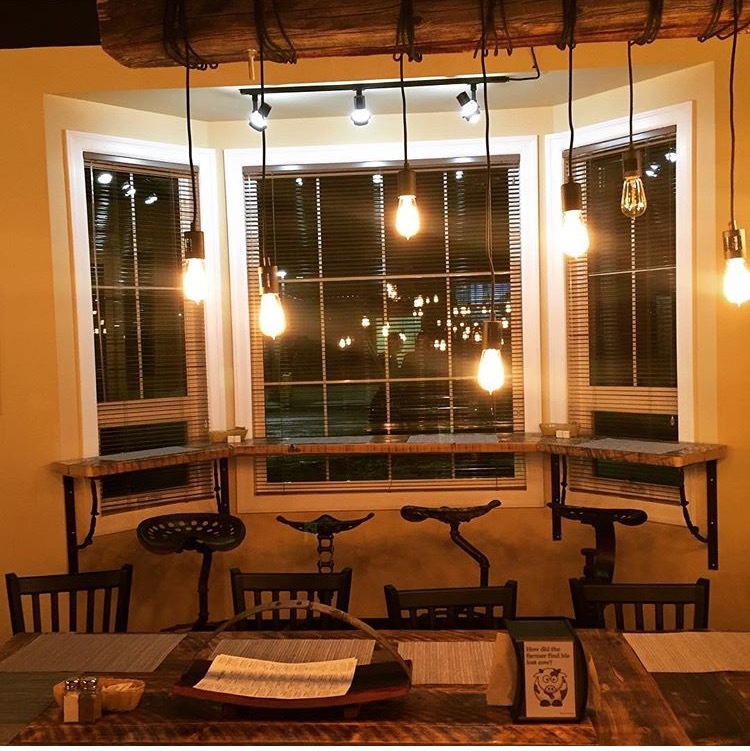 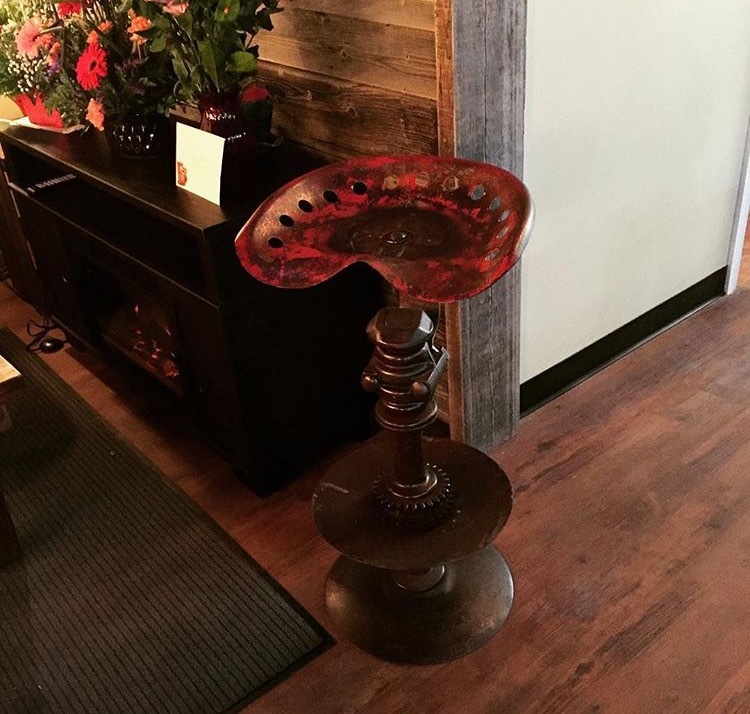 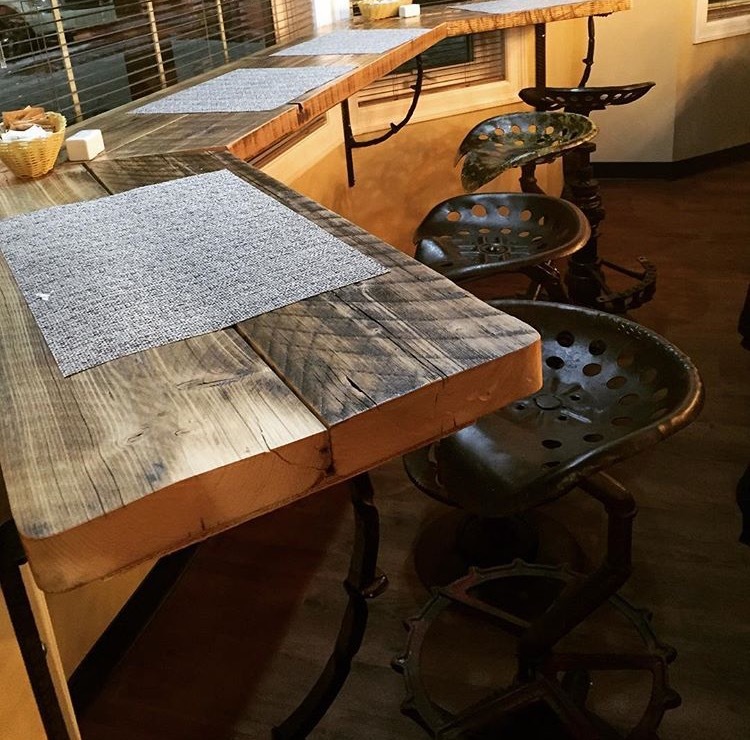 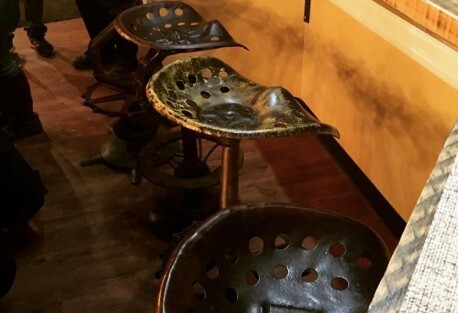 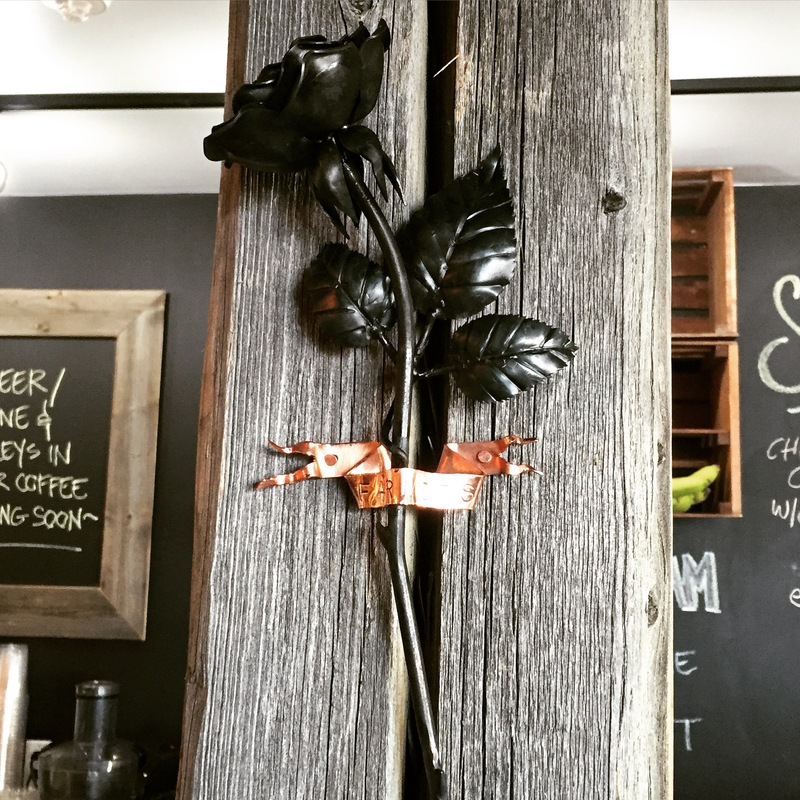 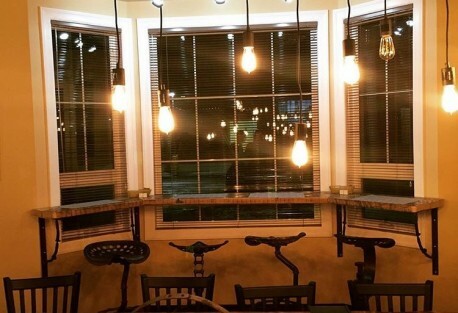 When the new Nampa and District Museum decided to include a cafe and restaurant, the owners commissioned our company to create sculptural tractor seat chairs and brackets for their rustic wood bar using antique agricultural parts. 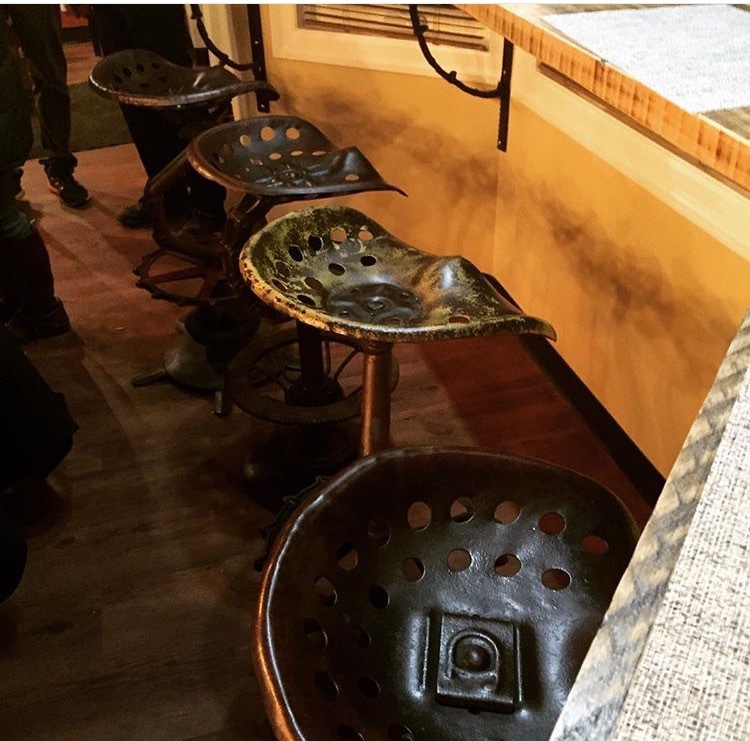 The chairs had to fit their modern rustic decor. 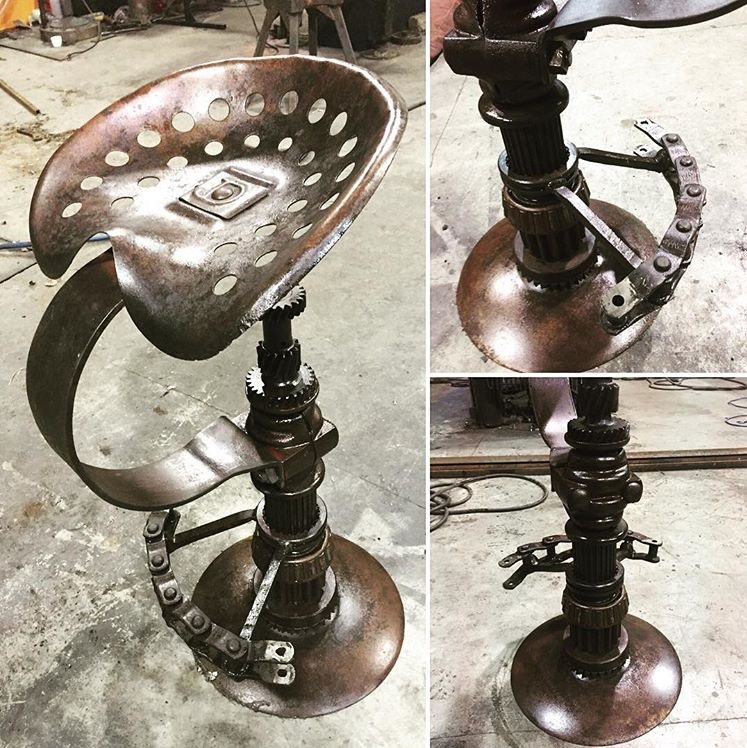 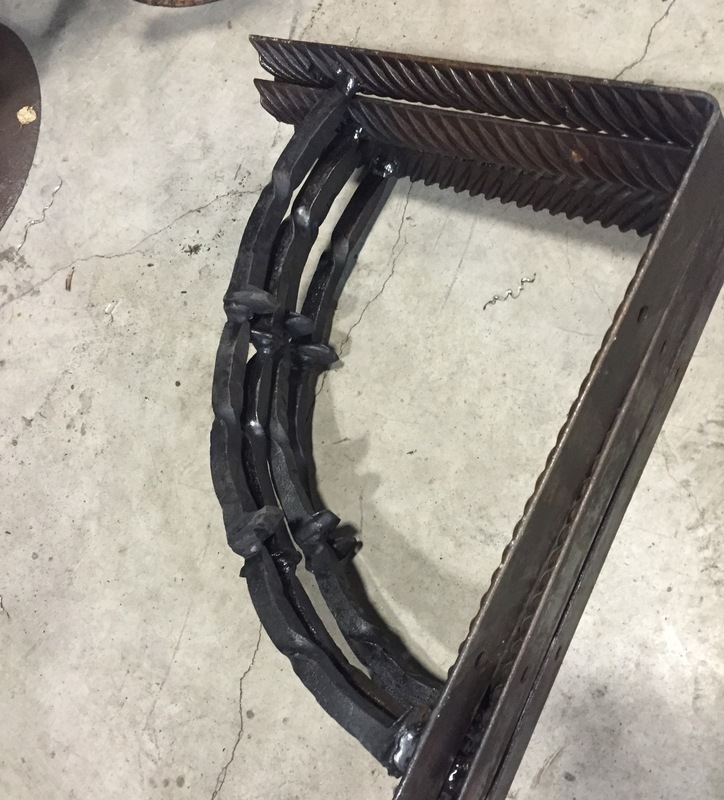 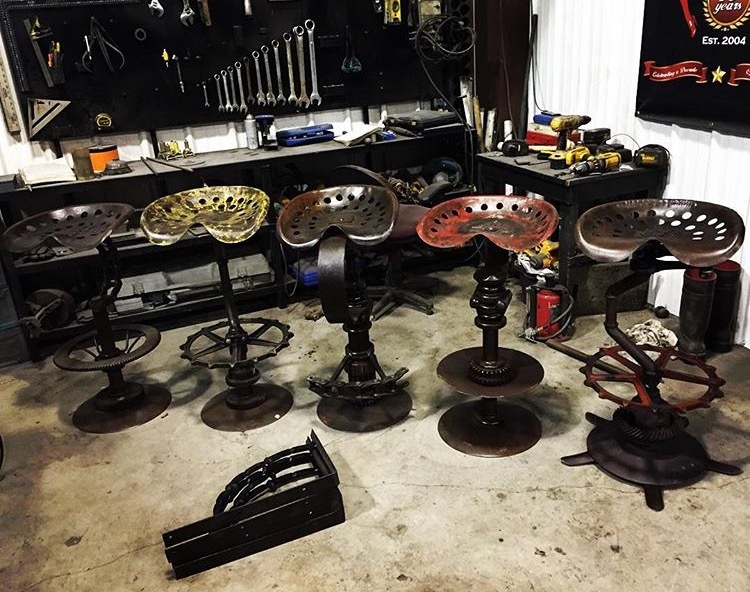 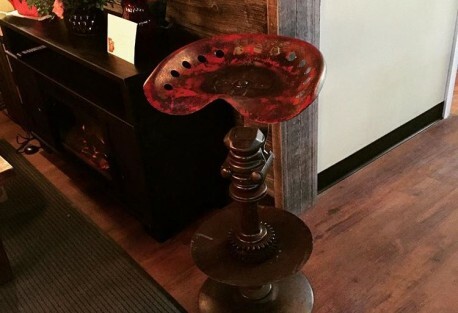 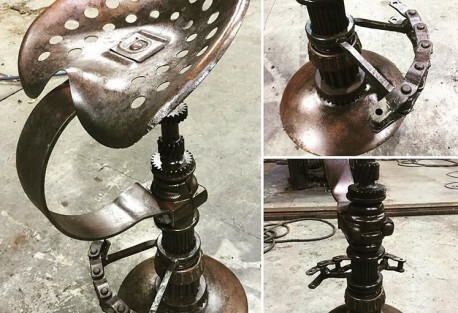 We created 5 chairs from an assemblage of old parts, and then welded together and forged antique railroad spikes to create brackets for the bar. 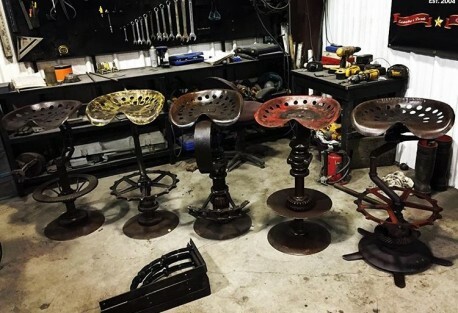 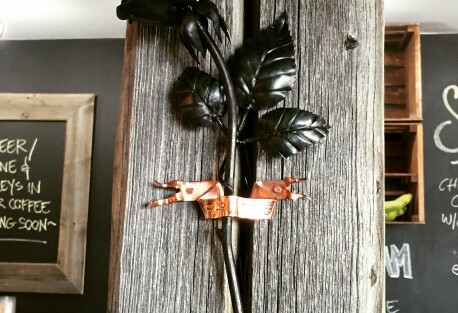 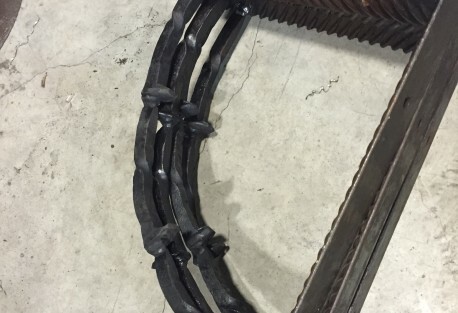 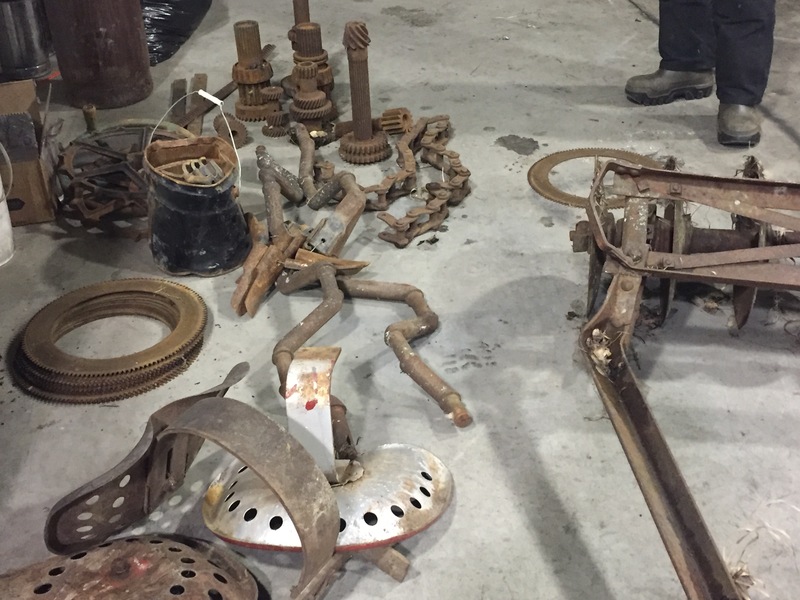 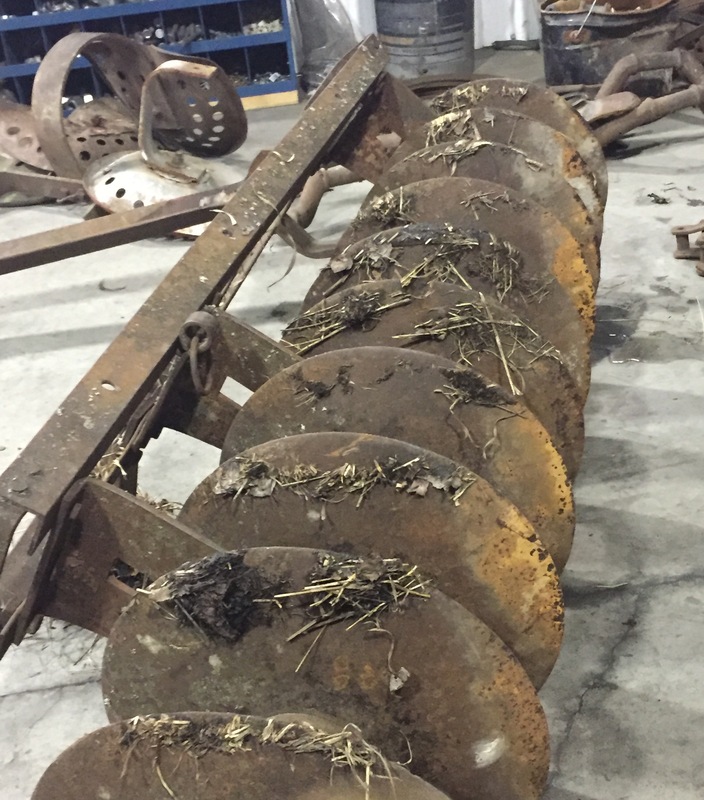 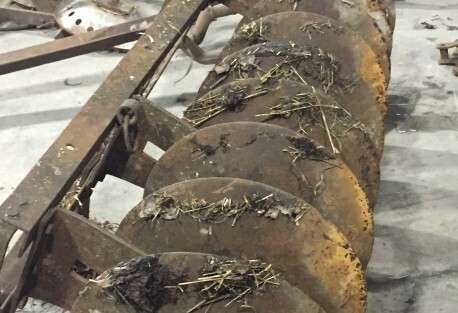 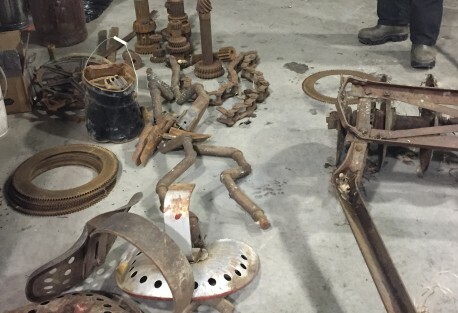 We hope patrons of the new Farmers Restaurant enjoy looking at the different parts on each chair and trying to decide which piece of old equipment they came from, whether an antique discer blade or a length of chain welded to shape.